Lyssa Chiavari can trace her love of science fiction to her childhood obsession with A Wrinkle In Time and Bruce Coville’s My Teacher Is An Alien series; her love of YA, meanwhile, can be blamed entirely on Meg Cabot and, specifically, Jesse de Silva from The Mediator. After working as an after-school science teacher for several years, Lyssa now spends her days plotting her imminent move to the Martian colony—and writing about it while she waits for technology to catch up to her brain. Her short fiction has appeared in Ama-Gi magazine, the Wings of Renewal solarpunk anthology, and Perchance to Dream, a young adult collection of Shakespeare retellings which she also edited. Her first published story, “The Choice,” a YA dystopian set in the Iamos universe, was named one of Students for Liberty’s Best Fiction of 2014. Lyssa lives with her family and way too many animals in the woods of Northwest Oregon. 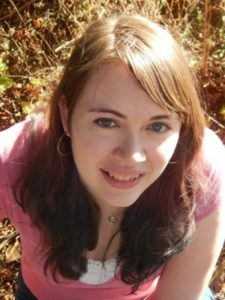 Through SWP, Lyssa is the author of The Iamos Trilogy, a YA sci-fi adventure set on Mars. The first book, Fourth World, available now, is a Library Journal SELF-e Selection. Book Two of the series, New World, and a tie-in novella, Different Worlds, intended to be read between the first and second books of the series, are also available now.